Technology has grown in leaps and bounds in the past few years. Incredible things we previously dreamed as science fiction are now available in the real world and internationally! We here at FeedFond love innovations. So, here are 7 futuristic things that will definitely make you say WOW! No more trying to explain the dimensions or sizes of things! 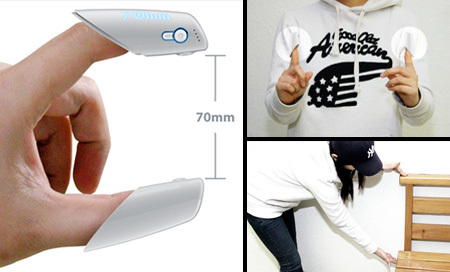 With the handy finger ruler, you can take measurements of any object easily and accurately. This innovative app helps you send texts and messages—even when there’s no cell service or WiFi. It uses a Mesh Network which is very useful while traveling where there are no cell towers. This device is a “dream-come-true” for any artist or designer. A scan and draw pen scans the color of any object and reproduces it perfectly. Forget animated movies—with this device you can communicate directly with your dog! A must-have gadget for crazy dog lovers! Now your dogs can say when they are hungry or if they need a walk outside. No, seriously… it’s no alien plant! A few biotechnology hobbyists band together and created a plant that actually glows in the dark! They inserted genes from a luminous bacteria into a tobacco plant. As a result, the plant can produce its own light without any power source. 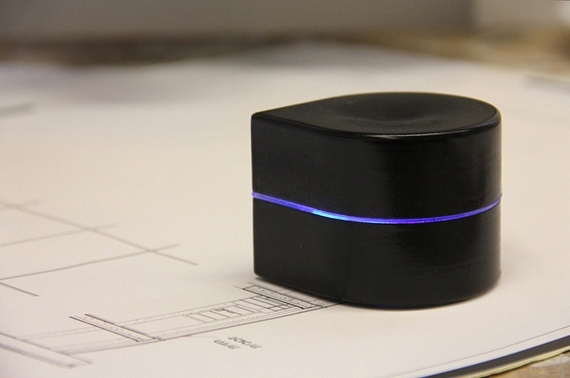 ZUtA, an Israeli company, has developed a mini pocket-sized printer that you can easily carry and use on the go. You can print any document on any flat surface, using a smartphone to control it! This is essentially a ring that scans the text your finger is pointing to and reads it aloud. It also has translation capabilities! This device is very useful for someone who is blind or visually-impaired. The ring has other cool features too: if someone deviates from the line of text, the ring starts to vibrate. What futuristic gadgets would you love to see in reality?